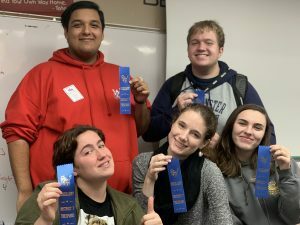 For the first time, Westminster Academy participated in the Thespian District Competition as a member of the International Thespian Society (ITS). This honor society recognizes, encourages, and rewards students for work in all aspects of theatre. 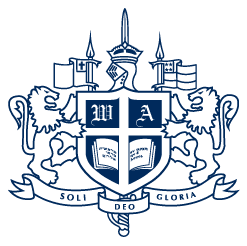 ITS students are honored at a national level. In addition, they can compete in local, state, and national competitions. Therefore, our Thespian Society Troupe 8570 joined their talented peers from Broward County to perform individual pieces for adjudication. Each of these students received an “Excellent” blue ribbon award for their performance pieces. With the school play fast approaching, we look forward to enjoying their talents as well!